Passendaele (Passendal) is a small village five miles north-east of Ypres in Belgium and is the name by which the final stages of the Third Battle of Ypres are better known. Along with the Somme, it has come to symbolise the Great War for many. 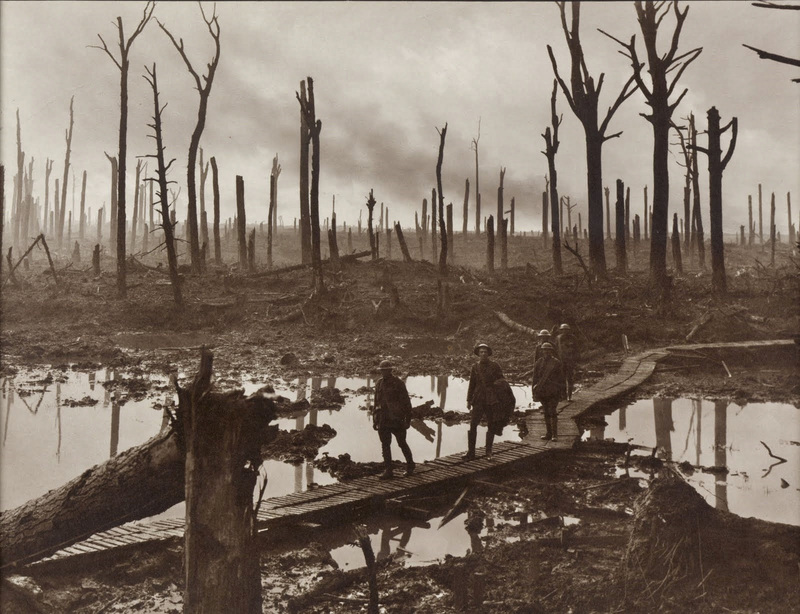 The Third battle of Ypres was preceded by the attack on Messines ridge in June 1917. 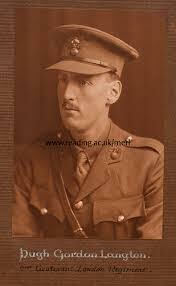 The main battle commenced on the 31st of July 1917, and stretched on until November the 10th, 1917. The final phase, the advance on Passchendaele, took place in October and November, the aim being to take the strategically important high ground of the Passchendaele ridge. The first battle of Passchendaele, on the 12th October, failed to take the village, and the second battle of Passchendaele lasted from the 26th of October until the 10th of November. After over three months, with 325,000 Allied and 260,000 German casualties the result was little more than to expand the ground covered by the Ypres salient and the controversy over the conduct of the Battle remains to this day. 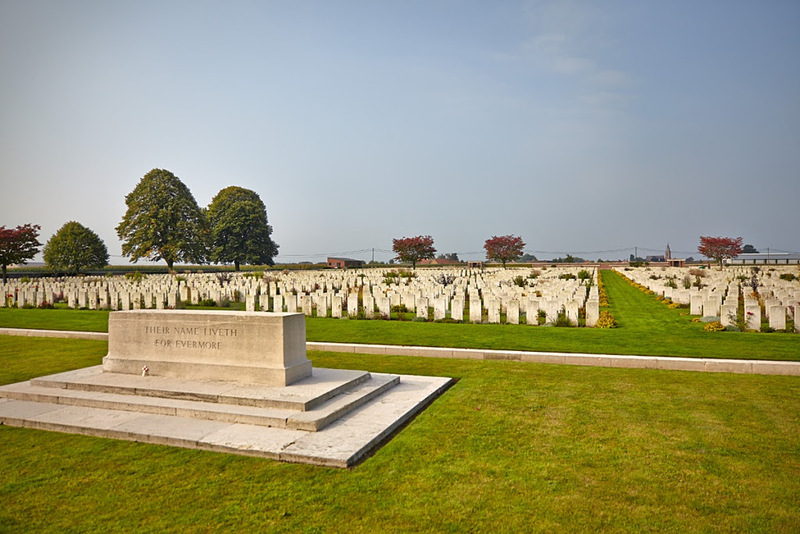 On Sunday, November 5th, 2017 at Poelcapelle CWGC Cemetery near Ypres (Ieper), Belgium (see below), there was a ‘special centennial memorial’ for Second Lieutenant Hugh Gordon Langton, (4th Battalion-London Regiment) Royal Fusiliers, who was killed in action on October 26th, 1917, during the ‘Battle of Passchendale’. 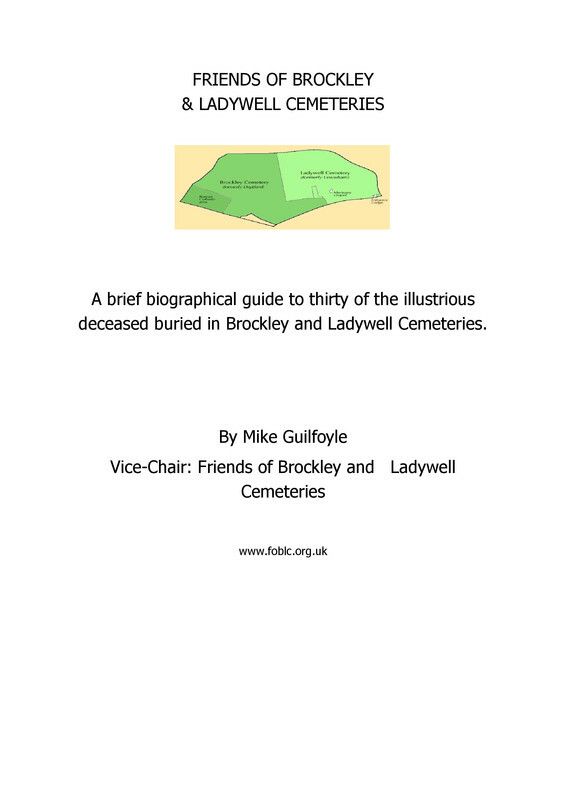 Eight members of the Friends of Brockley & Ladywell Cemeteries group attended as part of a British delegation at the kind invitation of Gil Bossuyt (First World War guide- www.frontaaltours.com). Also in attendance playing the moving music for the tribute were 45 musicians from the local Flemish Deerlijk Brass Band. 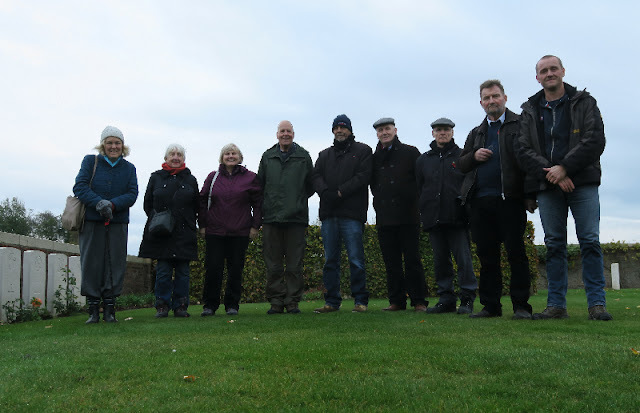 The event was recorded by the Commonwealth War Graves Commission (see link below) and in a welcome break in the weather during a sunlit interlude a poppy wreath was laid at the headstone. Hugh Gordon Langton was a very promising violinist, who was taught by the most prominent music teachers from that time from across Europe. 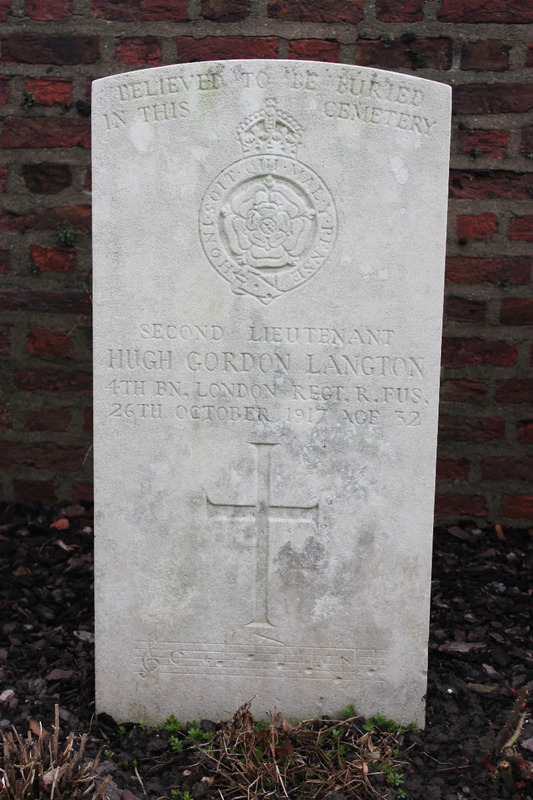 The grave of Hugh Gordon Langton is the only one of all Commonwealth graves and memorials (there are more than a million worldwide) which has musical notes inscribed as an epitaph. 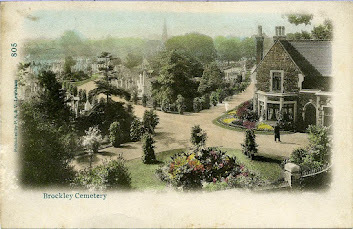 However a recent tonal revision of the musical notation - the piece was originally thought to have been from ' After the Ball is over' a popular Tin Pan Alley song from 1891, has led to some doubts by music scholars as the notes would suggest a different composition. As part of the planned visit the Friends group were able to benefit from an excellent guided walk from Gil over parts of the former Battlefield, to be present at the playing of the last post at the Menin gate, Ypres and to enjoy the warm hospitality offered after the Sunday tribute by sharing in a memorable meal with Gil and members of the band in nearby Zonnebeke before returning home. 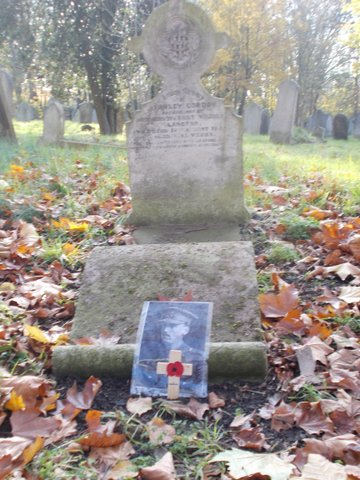 Family grave of Hugh Gordon Langton’s parents and his younger deceased brother in Brockley cemetery.